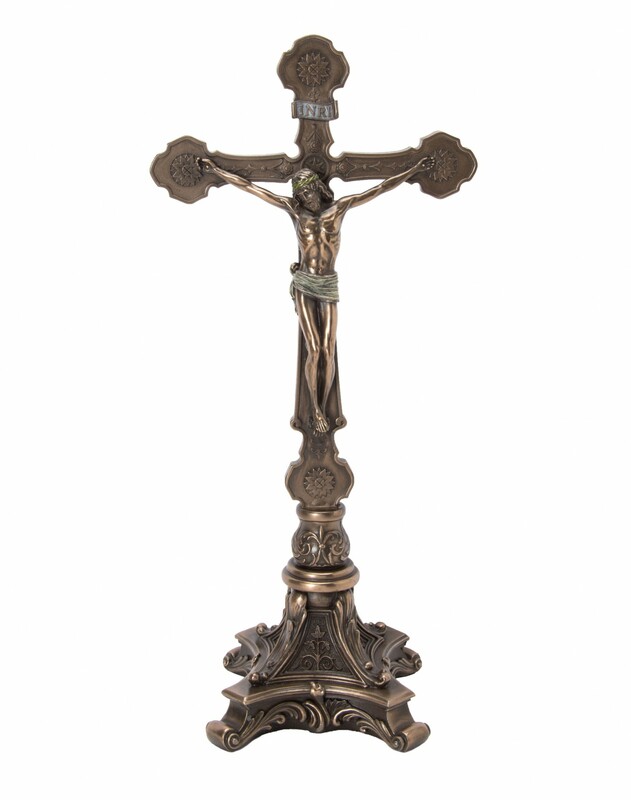 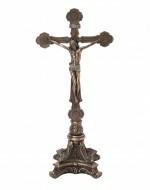 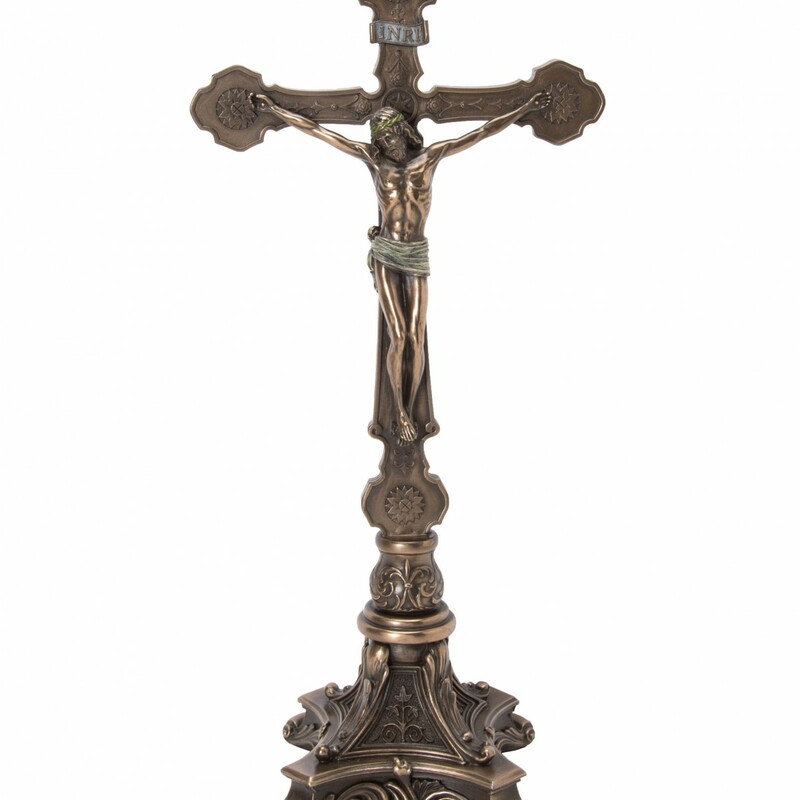 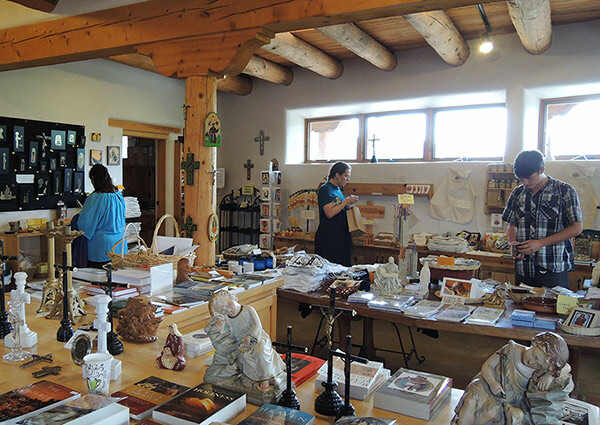 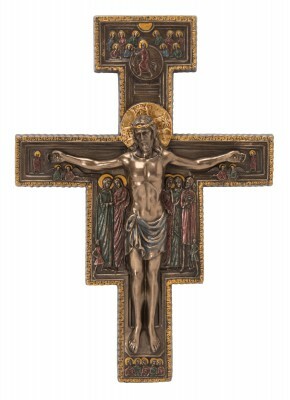 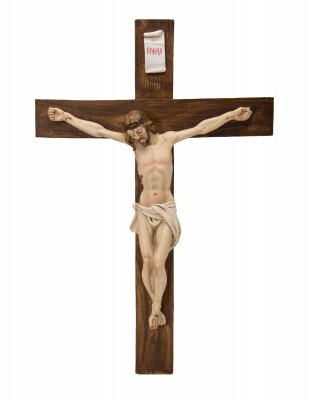 This 13-inch resin cast bronze colored crucifix is a remarkable piece of artwork. 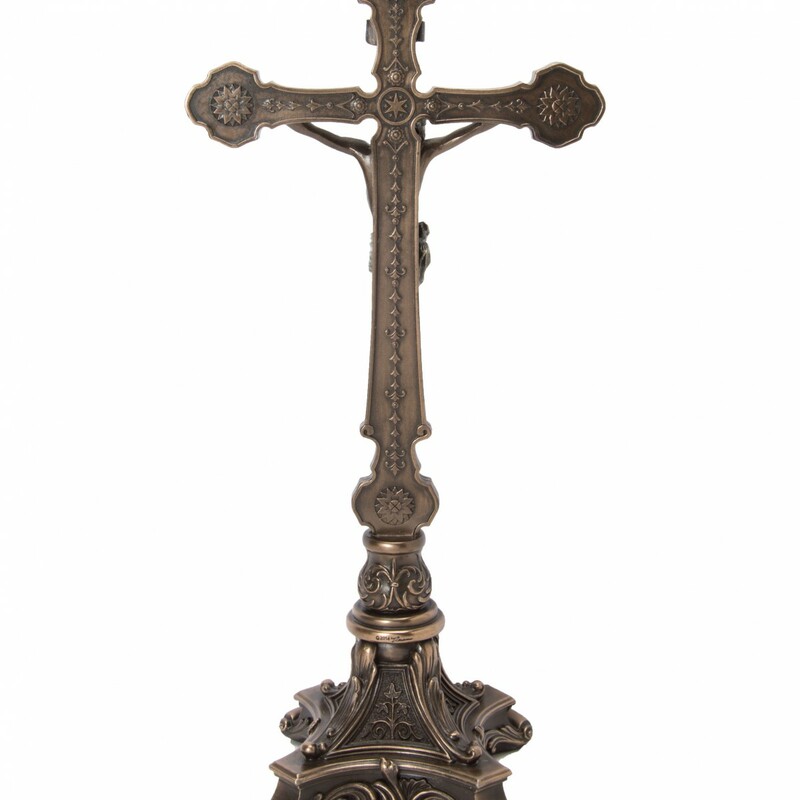 The cross and stand contain splendid florid detail; on each end of the cross is a Eucharist with blazing arabesque. 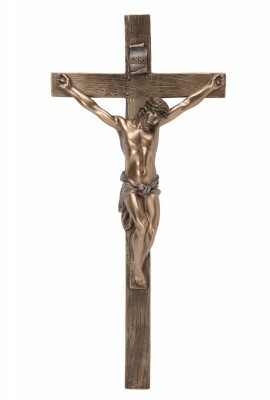 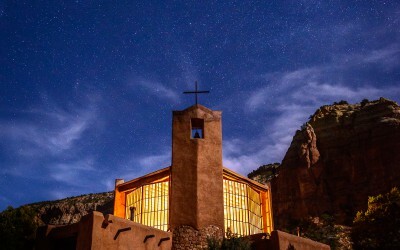 Christ wears a lightly painted green crown of thorns, and behind the head of Christ is a beautiful pattern of stars; on the top of the cross is the sign INRI, an acronym for the Latin phrase Iesus Nazarenus, Rex Iudaeorum: “Jesus of Nazareth, King of the Jews.” A good quality devotional piece for any room in your home or oratory.